The Tri-City ValleyCats and Houston Astros announced on Friday that they have extended their Player Development Contract (PDC) through the 2020 season. 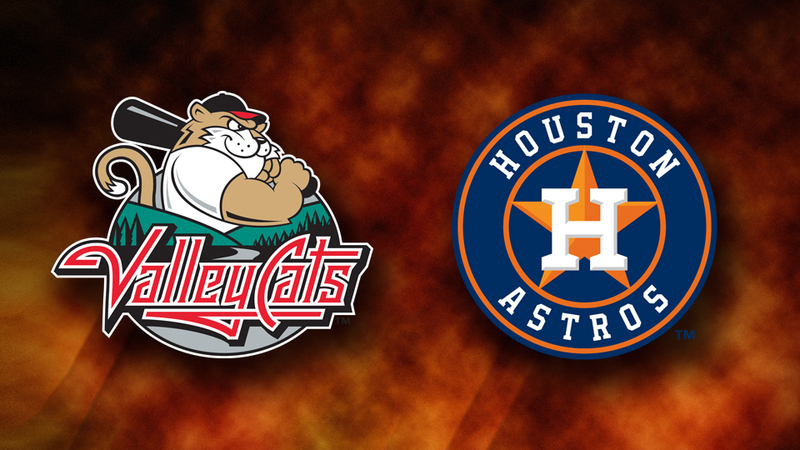 The ValleyCats organization has been affiliated with the Astros since 2002, making them Houston's longest tenured minor league affiliate. "We are pleased to extend our long-term Player Development Contract with the Houston Astros," said ValleyCats President & Principal Owner Bill Gladstone. "We have had an excellent relationship with the Astros and look forward to many more years together." "The Tri-City ValleyCats are the premier organization in the New York-Penn League," said Astros President of Business Operations Reid Ryan. "They have been instrumental in our player development process over the last 17 seasons. We are honored to continue this affiliation with the ValleyCats and the Gladstone family." Since 2002, 55 former ValleyCats have gone on to play Major League Baseball, 42 of them with the Astros. The distinguished list of alumni includes three-time batting champion and American League MVP Jose Altuve, World Series MVP George Springer, Cy Young Award winner Dallas Keuchel, among many others. Over the course of their 17-year partnership, the ValleyCats have won eight New York-Penn League Stedler Division titles, and two NYPL Championships (2010, 2013). Since 2012, Tri-City has posted a 297-226 (.568) record. The ValleyCats captured the 2018 Stedler Division title on Thursday night, and are headed to the New York-Penn League playoffs. Tickets are on sale now at tcvalleycats.com, or through the Joseph L. Bruno Stadium box office. Labor Day Weekend box office hours are Friday until 6pm, Saturday 10:00 a.m. - 2:00 p.m., and Monday from 10:00 a.m. - 2:00 p.m.